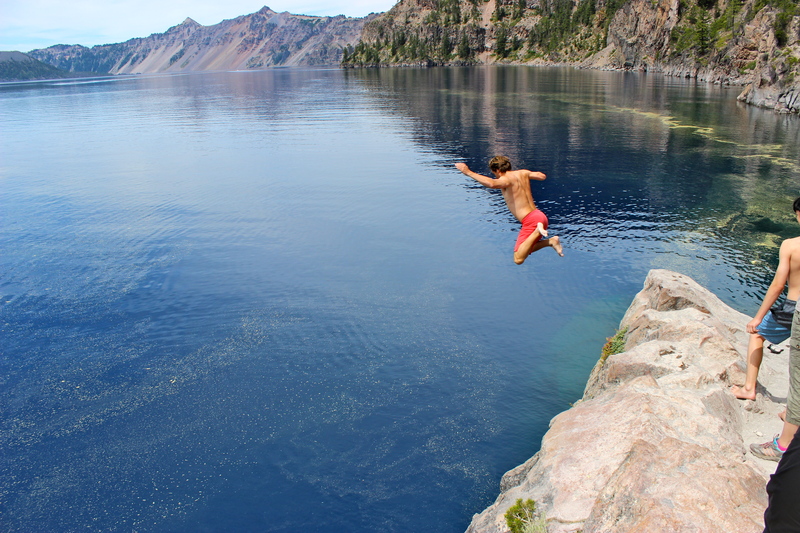 Crater Lake, OR | a hole filled with water surrounded by wilderness. My first official road trip. A projected 6.5 hours in our little car packed with fun snacks, Serial podcast downloaded and playing, and ourselves filled with excitement as we are about to explore my first National Park. The car ride was actually 7.5 hours, as it was a holiday weekend and were sharing the road for a bit of the way with Lake Tahoe goers. Thankfully Waze, a newly discovered app took us on some backroads to avoid some of the traffic. Thank you, Waze, for introducing me to a few neighborhoods I will never want to go back to. 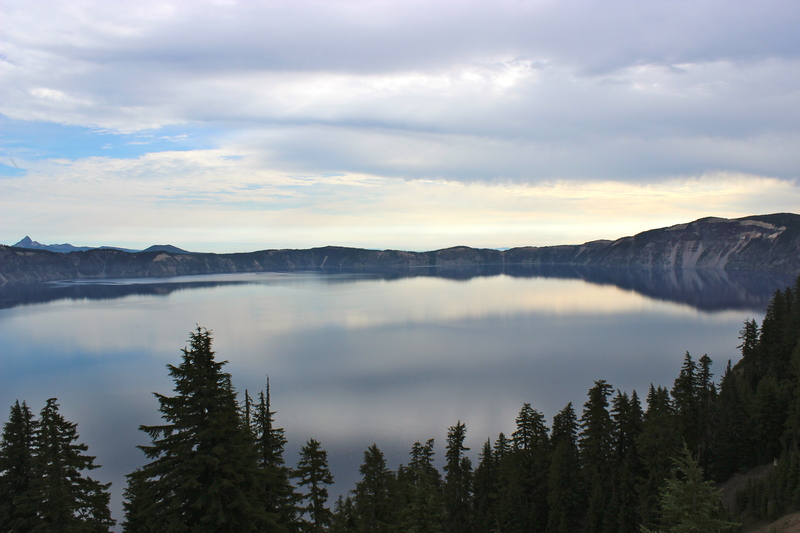 After a few stops we finally made it to Crater Lake, 110 miles north of the California border and 100 miles east of the Pacific Ocean. We drove over Shasta Lake, or what’s left of it, past Mt. 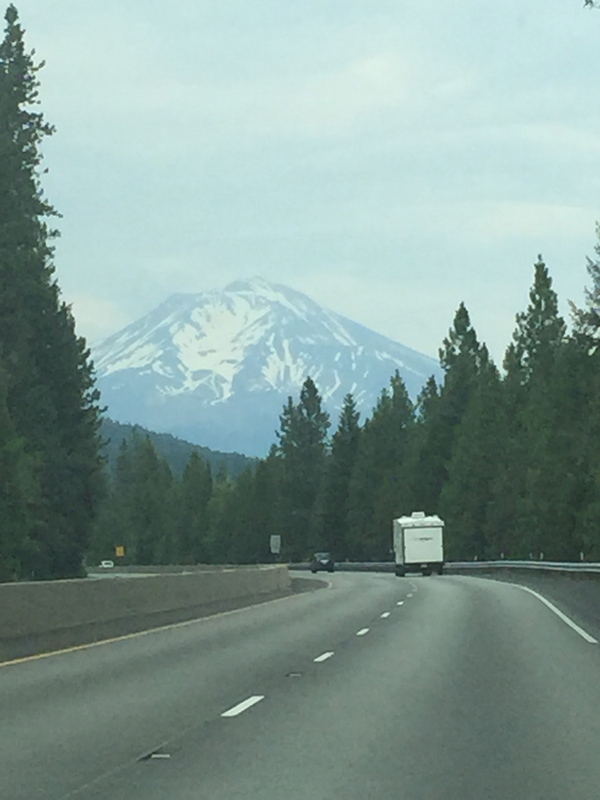 Shasta, a huge snow capped mountain in the midst of 90+ degree temperatures, and through some serious honky tonk towns. We even drove past an actual local rodeo! At first, entering into the actual National Park towards our hotel, it was what I expected. A lot of pine trees and nature. Then I looked to my left and there it was. 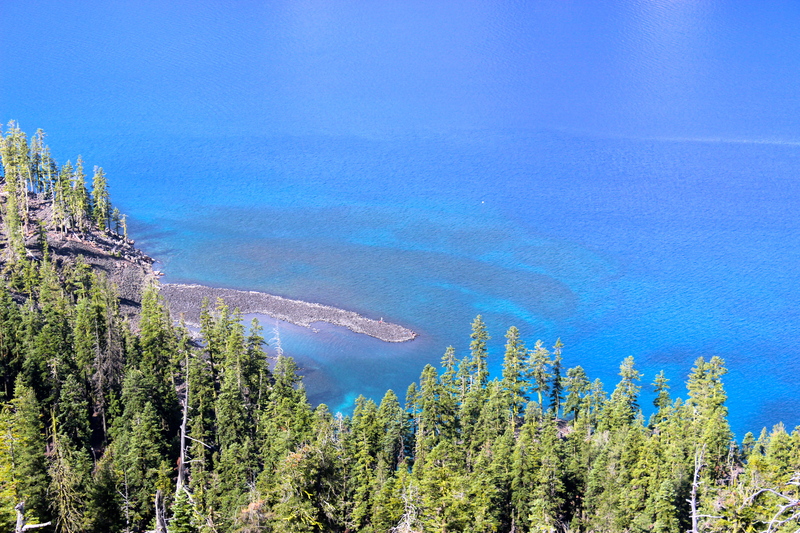 The crater that dropped nearly 1,000 feet and the massive blue lake. It was huge. And so blue! Pictures cannot do this lake any justice. 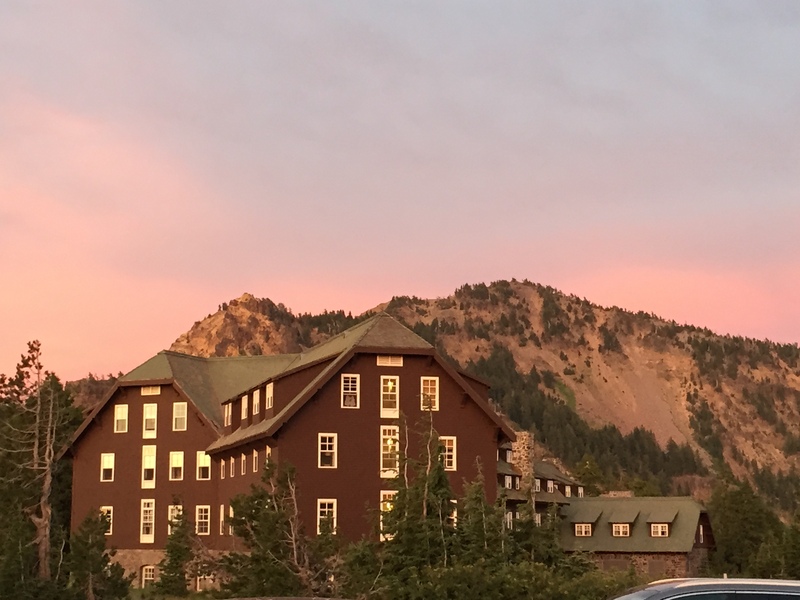 The sun was about to set as we checked into our hotel, the historic Crater Lake Lodge. Cocktails and an adirondack chair were in order. Perfect, because they already had this figured out. Perfectly set up to view the lake and the different shades of pink behind the mountains. I forgot bug spray because living in SF you forget mosquitos exist. Poor move; I got eaten alive. Our first, and only full day, we decided to sleep in, have a hearty breakfast and then drive up to the entry point to go into the lake. Seems easy enough. 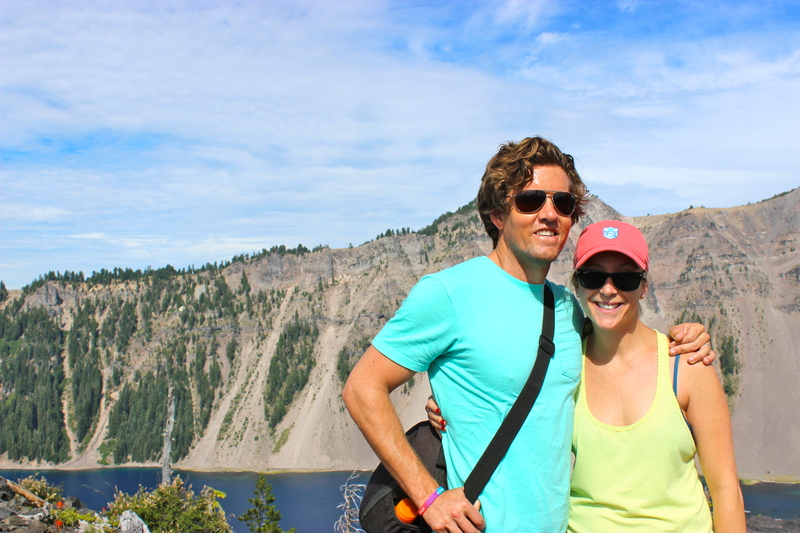 The entry point to hike down into the crater was 11 miles away from our lodge. A beautiful drive, which means a look out point, aka photo op, every 100 feet. So this drive took a while, but we have some great pics. When we got to the entry point we hiked down. 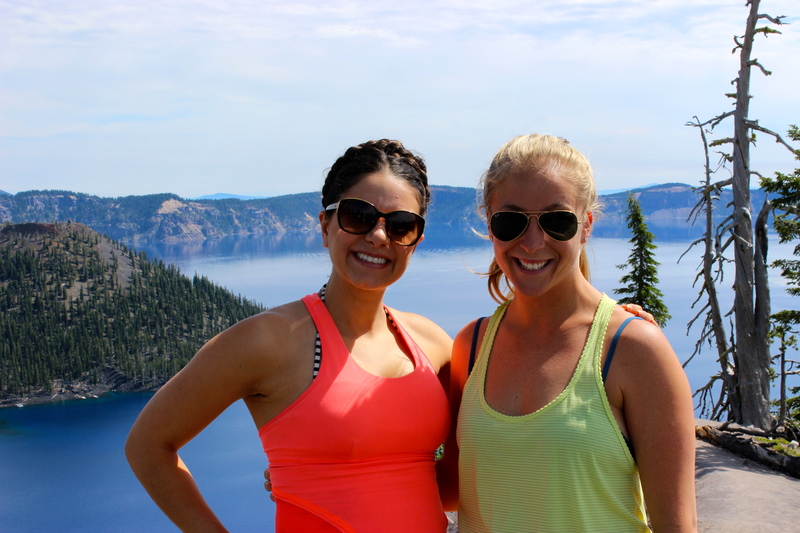 Remember, it’s a crater so it was a 1.1 mile hike to the water……and then back up. We found some nice rocks to set up shop. 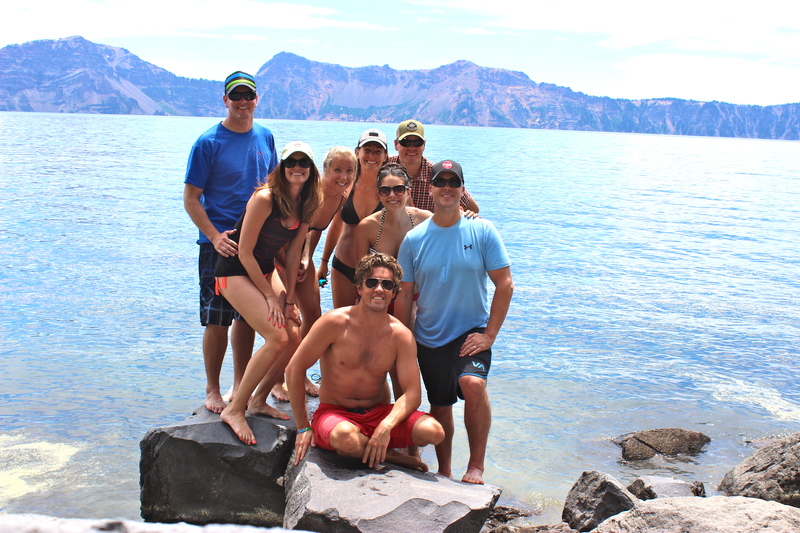 The boys ventured off for some fishing, while us ladies soaked up some sun and took a few dips in the glacier water. 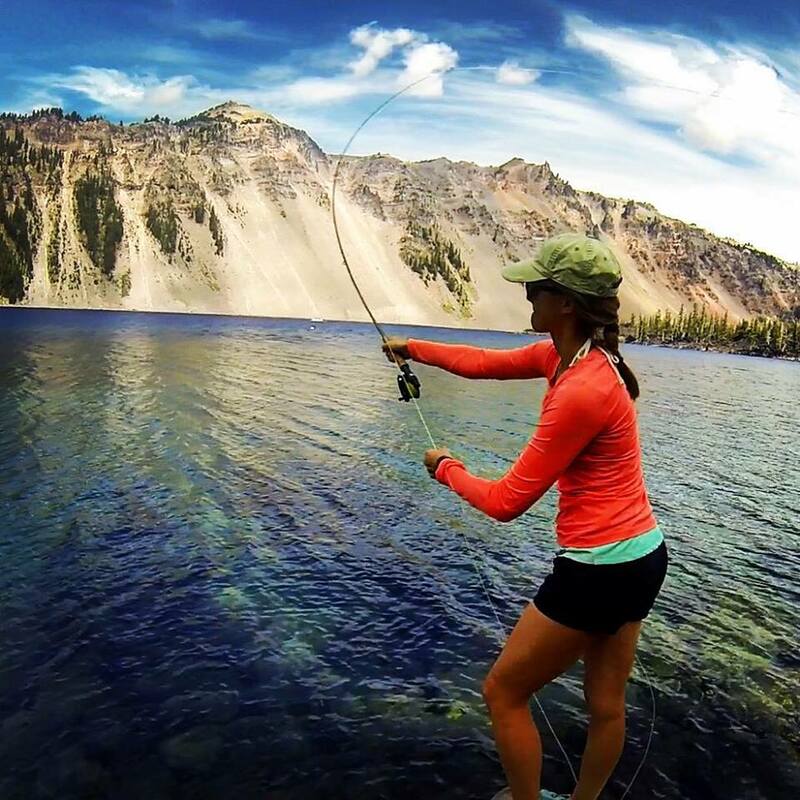 For the fishing enthusiasts, the lake is full of rainbow trout and salmon. You may now be wondering how the fish got there. Turns out a very long time ago, they stocked the lake with fish, and visitors are encouraged to fish and keep the fish they catch! And that’s about the only thing in the lake. Seriously. 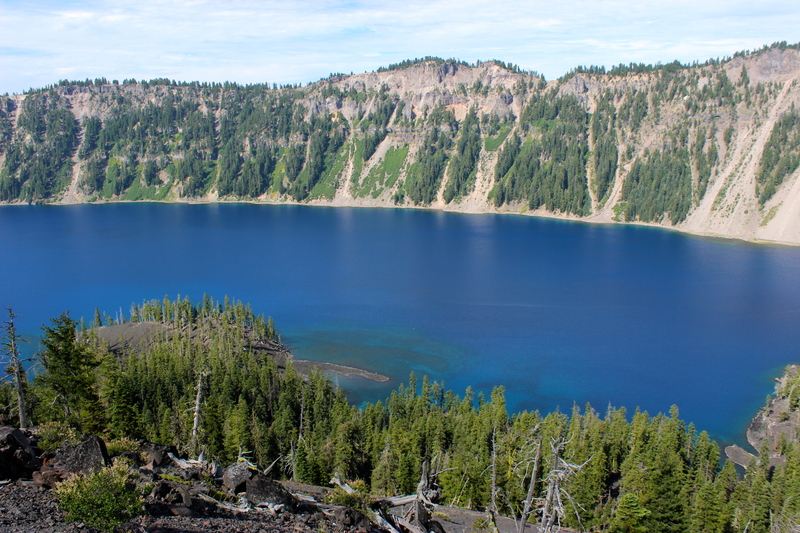 The pristine waters of the lake, the deepest in the US at 1,949 feet, is filled exclusively by snowmelt and rain! 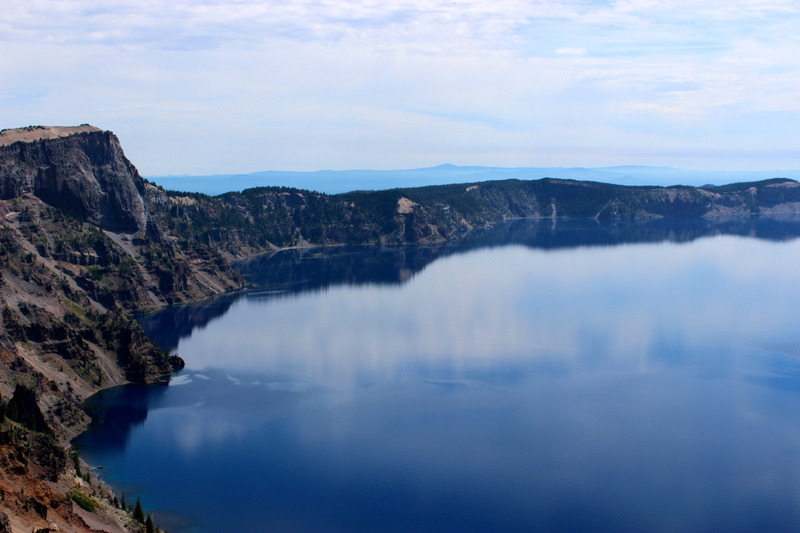 The region averages 44 feet of snowfall a year, so don’t try to make a trip to Crater Lake in the winter; it’s closed. 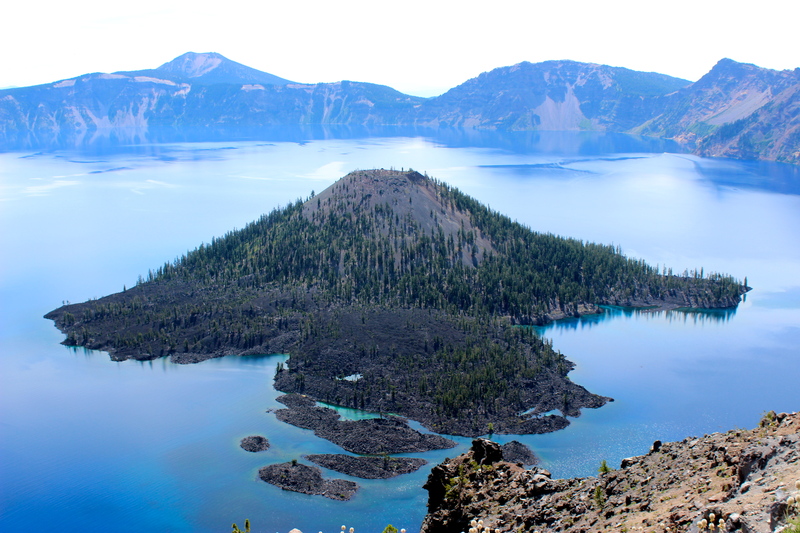 The next morning we took a boat ride, the only boat in the entire lake which had to be dropped in by helicopter, to explore Wizard Island; the volcanic island is in the middle of the lake. 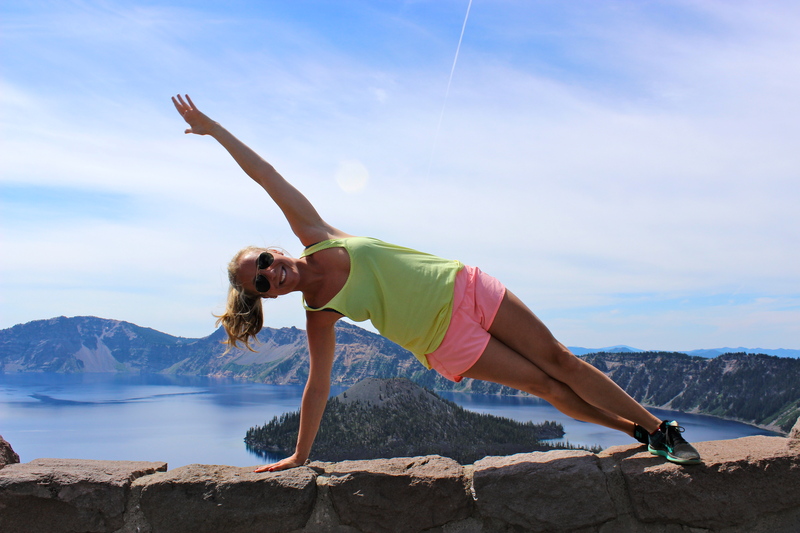 We hiked to the top, which gave us incredible views of the entire lake. 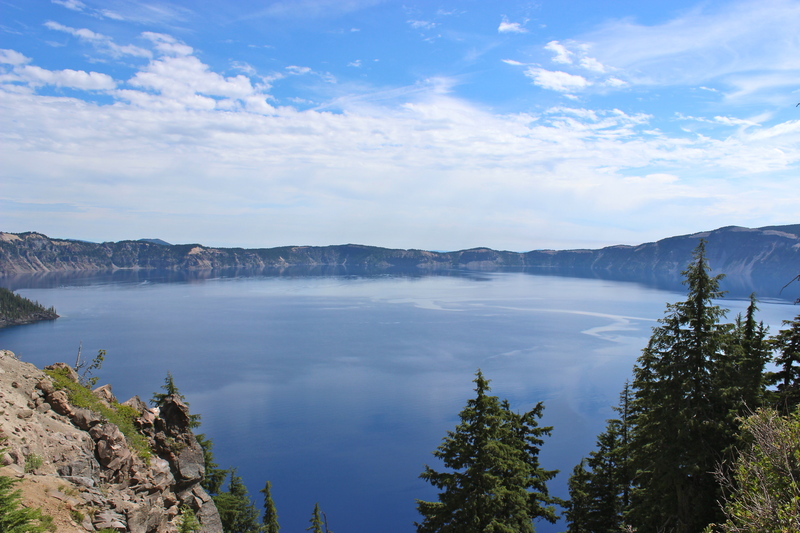 The hike to the top of the island was easier than the hike out of Crater Lake, and more enjoyable too. The scenery speaks for itself. You can also fish on the island which, again, doesn’t get much better for the fisherman out there. After the hike I spent the rest of the 3 hour tour, literally, it was 3 hours on the island, reading on the dock and jumping into the ice cold lake. Invigorating to say the least. 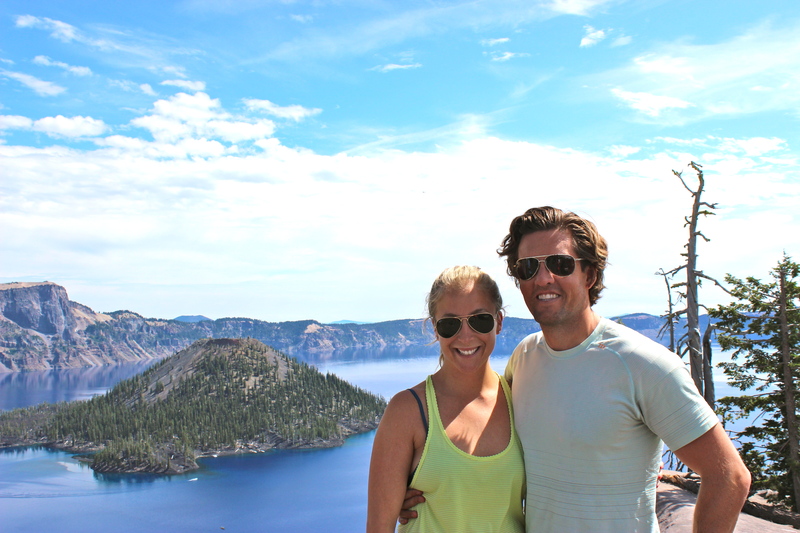 Our weekend spent at Crater Lake was amazing, and one I will always remember. Be sure to go with a group of people you really like. When you aren’t outside hiking, fishing, or jumping in the lake, you are together, sharing stories, wine, and a very long game of competitive dominos. Luckily, we have a pretty amazing group of friends and I thank them for introducing me to my first National Park. 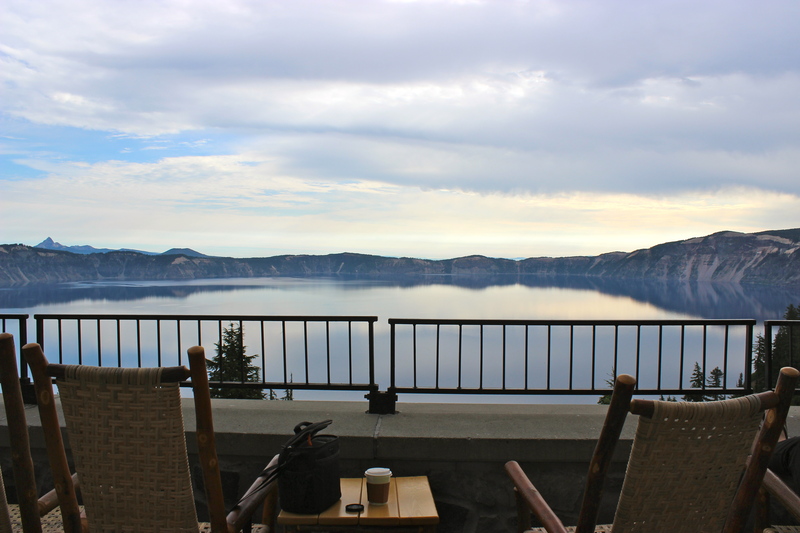 Crater Lake Lodge | $$ First opened in 1915, the lodge was celebrating their 100th birthday. 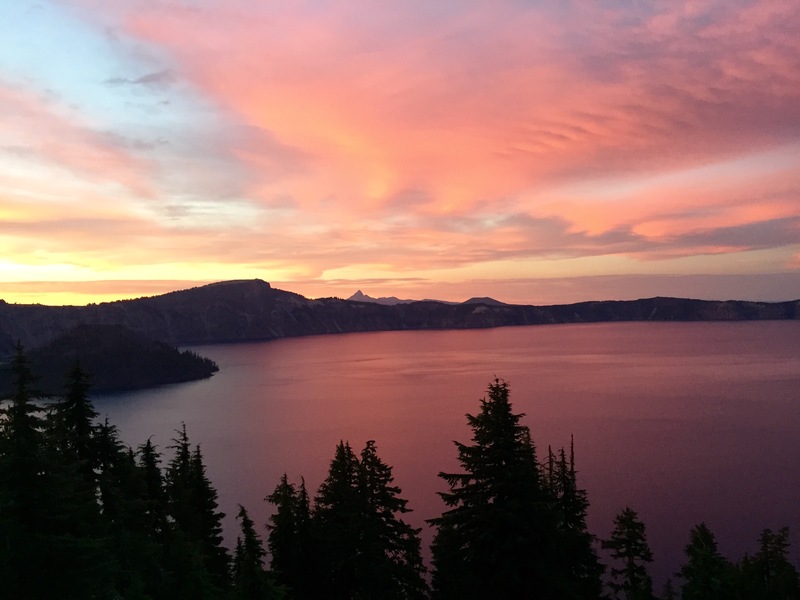 This historic hotel from a bygone error perched upon the crater rim, provides comfort and privacy during your stay exploring the national park. The lobby area feels more like a living room with several couches and tables perfect for enjoying late afternoon cocktails and snacks and is set up to enjoy a fun board game with friends. 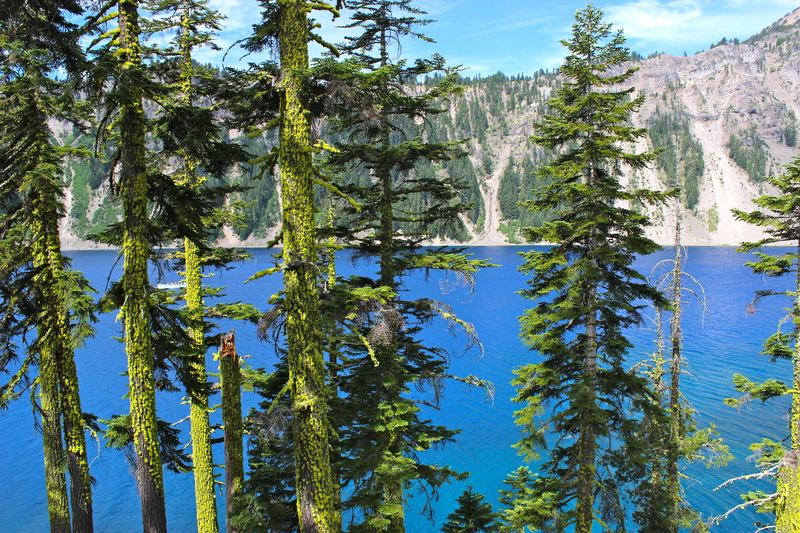 Bring your own wine and cheese and enjoy the views of the lake and a bit of rest and realization. Do not, however, forget your bug spray. The mosquitos were awful. Also, if you are interested in the boat tours, be sure to get those well in advance! First national park? Wowza! Hopefully the first of many.